Ascending Butterfly: Not so Wordless Wednesday: Fitness Magazine #FitBlogNYC Event - Ascending Butterfly meets Mia Hamm! 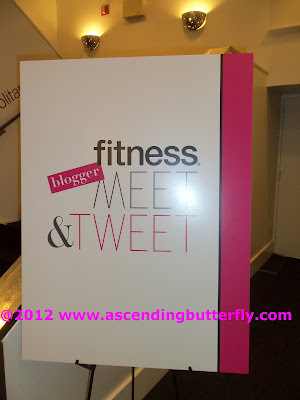 Not so Wordless Wednesday: Fitness Magazine #FitBlogNYC Event - Ascending Butterfly meets Mia Hamm! I have been a super busy Butterfly lately, so I thought I'd recap an Amaze Balls event I attended last week as a Not So Wordless Wednesday Post today. In 2011 I set out to amp up my fitness, not just to loose weight so much as to totally change my lifestyle over for the better with a mind, body and soul approach. And I was doing great at it. I started out with recipe substitutions, I learned some amazing tricks and recipes thanks to a cooking class I attended at the International Culinary Council in New York City thanks to Fage Greek Yogurt! (You can read about that event HERE, and some of the recipes HERE (delicious lemon yogurt coleslaw) and a totally YUMMO Mac N Cheese recipe HERE and totally check out the super yum Tandoori Chicken Recipe HERE). I picked up a ton of fitness games for my Wii, and slowly but surely dropped 26 pounds and 3 dress sizes. Awesome stuff right? Then in 2012 a medical setback hit me like a lightening bolt, and after a series of exploratory surgeries and biopsies, and bed rest, the weight slowly came back on. Even though I'm not eating more (in fact sometimes I haven't had much of an appetite, I haven't been able to work out much). Keeping still is not easy on a Butterfly. Butterflies like to move, well, they like to fly, and I'm no different. While I'm still not at 100% yet, I'm dying to get my fitness routine back! 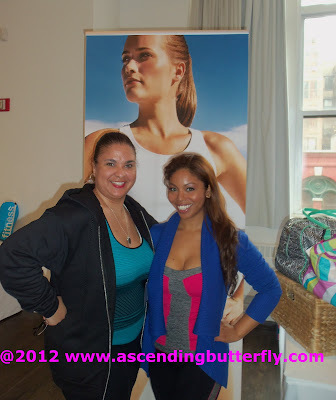 I had the chance to attend a Fitness Magazine event last week in New York City and it totally got me motivated again! The invite told us to wear workout wear and I put on my favorite new, fresh, just ripped off the tags Macy's Ideology Workout Gear (You can read my review of the line whose ambassador is Cheryl Burke from Dancing With The Stars, HERE), and even just putting my gear on made me feel like my old self again! The event had a very unique premise, we were given a 'passport' at the start of the event, and vendor tables were set up with products, product samples, demos or try on opportunities and at each table our passport was 'stamped' at the end of the event once you were completely stamped you were able to pick up a very neat swag bag. I didn't really need the passport as a motivator to visit with each brand, I definitely would have done so anyway, the chance to be able to learn so much about each product and brand one on one was fantastic! I visited booths such as Oakley, Birkenstock, Vichy, Reebok, Camelbak, V8, Schick Hydro, Kiwi Sweat, and the Grain Foods Foundation where I got the chance to meet Mia Hamm and she also signed a mini soccer ball for me! Reebok challenged us to consider why Fitness is so important to us! Some healthy snacks like the Fiber One® Chocolate Bars, and the delish V8 smoothies and the Frosty Chocolate Protein Shakes from Pure Protein were fantastic and definitely will be added to my shopping list! 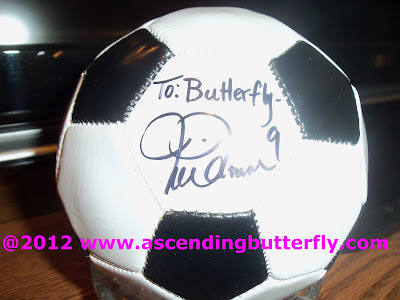 Below: Here is a picture of Ascending Butterfly with Mia Hamm <-Linking you to her Foundation so you can keep up with what's new with Mia! 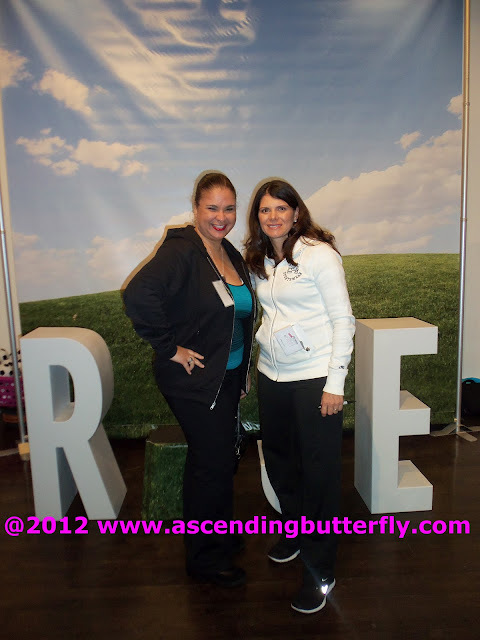 Left: Ascending Butterfly rocking her Macy's Ideology Fitness Gear Right: Women's Best All Around Soccer Player Mia Hamm! I asked her to sign it to 'Ascending Butterfly' but she signed it out to 'Butterfly' which I thought was cooler! Everytime I'm feeling down in the dumps about not being able to get my routine back on track yet, I look at my signed ball, and keep telling myself I'll get 'back on the ball very soon' and it's been keeping me motivated. I loved that the event stressed the importance of a mind, body, soul, overall approach to wellness, which is exactly how I've been speaking it from DAY ONE! When the importance of meditation was discussed I nearly jumped out of my chair with excitement and enthusiasm for the topic! YES! What I also Loved about this event it was the anti-thesis of a NYC event, especially at the Metropolitan Pavilion, those in the know, know it as the home Fashion Week shows, but there were ZERO high heels, cocktail dresses, runway fashions and not even a cocktail to be found. We were all in fitness clothes, a great equalizer, and a great way to feel part of an energized group of dynamic writers, fitness enthusiasts and experts, and brands that gear products to those who want to lead a healthy lifestyle. There were panels on makeup by Laura Geller, on keeping fashion gear fun and fashionable, and even a panel session on monetization and making a profit from your blog, with helpful do's and don'ts for bloggers to keep in mind when approaching brands. Super rocking awesome swag? 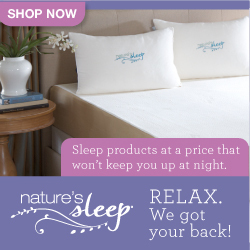 Check, Plus, Plus. But leaving with a feeling of motivation to get back to ME again? PRICELESS. The me that lost 3 dress sizes, in a slow, sustainable and healthy way last year is now back to reclaim her life again. Until my medical nightmare is fully behind me I will have to start very slowly. Some physical therapy first, and then slowly start the process of changing what I eat and getting back to moving again. I don't think there really is a way to thank Fitness Magazine who put this all together in words that will actually express the depth of my gratitude for inviting me to this event. It's not just the 'stuff', and not just what I learned during the panels, and not just the great people sharing the journey I met along the way. Somewhere during that day I realized that no matter how hard this year has been, there is absolutely nothing standing in the way of me not only replicating last year's results, but actually surpassing them with perseverance, motivation and determination. 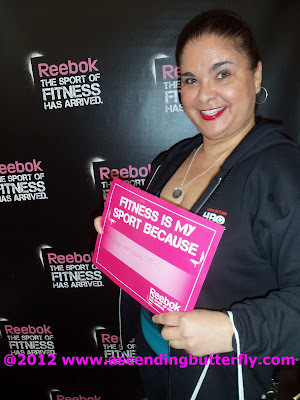 FTC Disclosure: I was invited to attend this event as a member of the digital press and fitness blogging community, this is NOT a sponsored post, as no monetary incentive has been provided to share my recap of this experience. All opinions regarding the brands in attendance, sponsors and products are 100% my own. Gift Bags were provided to event attendees. Those events are so inspiring. It was fantastic, I feel so motivated to get back on track!